Baltimore Freightliner-Western StarAutonomous Trucks: Transportation of the Future? Autonomous Trucks: Transportation of the Future? 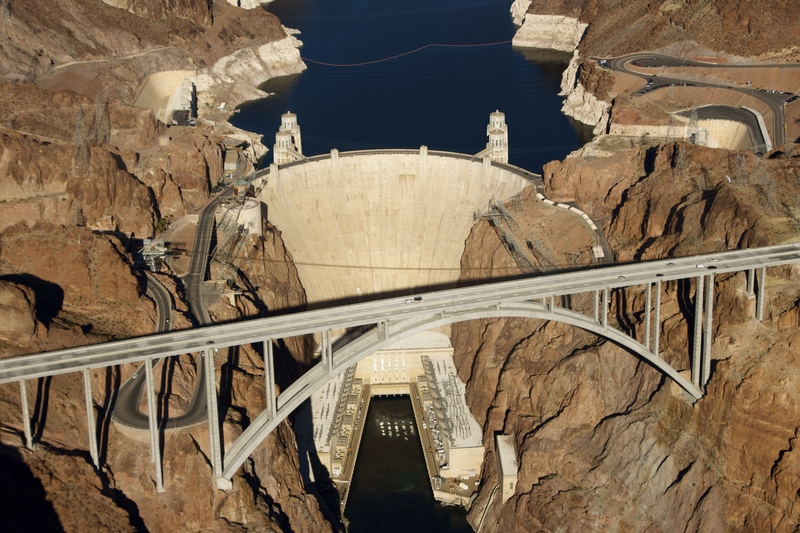 At over 726 feet high and a whopping 1,244 feet long, the Hoover Dam has long served as an inspiration for innovation in this country. Fittingly, the Hoover Dam was the introduction site of Daimler Trucks North America’s most impressive creation to date: the Freightliner Inspiration. This autonomous truck made its debut at the Dam this week, sparking major excitement throughout the trucking industry. Read on to find out more! Freightliner Inspiration Crosses Hoover Dam- With No Driver! Daimler Trucks North America chose to debut its Freightliner Inspiration autonomous truck at the Hoover Dam to show the full scope of its achievement and to set this historic accomplishment against an equally historic backdrop. The Freightliner Inspiration was able to maneuver the roadways and bridge without a driver present, displaying a level of technology unprecedented in the trucking industry. The Inspiration’s Highway Pilot system is responsible for its amazing autonomy: this includes camera technology, radar systems, collision avoidance tech, breaking and steering systems, speed control, lane stability, and more. The Highway Pilot system constitutes a breakthrough in trucking technology that will one day carry over to other truck models and increase the availability of autonomous trucks. Are Autonomous Trucks Here to Stay? The Freightliner Inspiration is, as of now, a truly unique creation in the field of autonomous truck design. Its impressive introduction, however, will no doubt encourage others to pursue new endeavors in this field. By building new autonomous trucks that have the advanced safety features and driving capacity of the Freightliner Inspiration, the industry will open new doors and create opportunities that mere decades ago we never would have dreamed of. If you’re in the trucking business or are looking to discover more about autonomous trucks and Freightliner products, call on Baltimore Freightliner-Western Star. You can call toll-free at 800-832-7278 or locally at 410-685-4474 or email us your questions and concerns at info@baltimorefreightliner.com. This entry was posted on Thursday, May 7th, 2015	at 6:53 pm	and is filed under Blog, Trucking News	. You can follow any responses to this entry through the RSS 2.0	feed. Both comments and pings are currently closed.